Re: 33mm 34mm 35mm 36mm 37mm headlight brackets! Black Nice! new!! They look very nice and appear to be very well made. There are cheaper options out there but from the research I did these are the best quality/appearance for the money. These are definitely not made-in-China quality stamped sheet metal items. They should be on the bike in the next week. I'll try to remember to throw up some pics when I get everything back together. For a little extra change, can they be fabricated at say half the length? 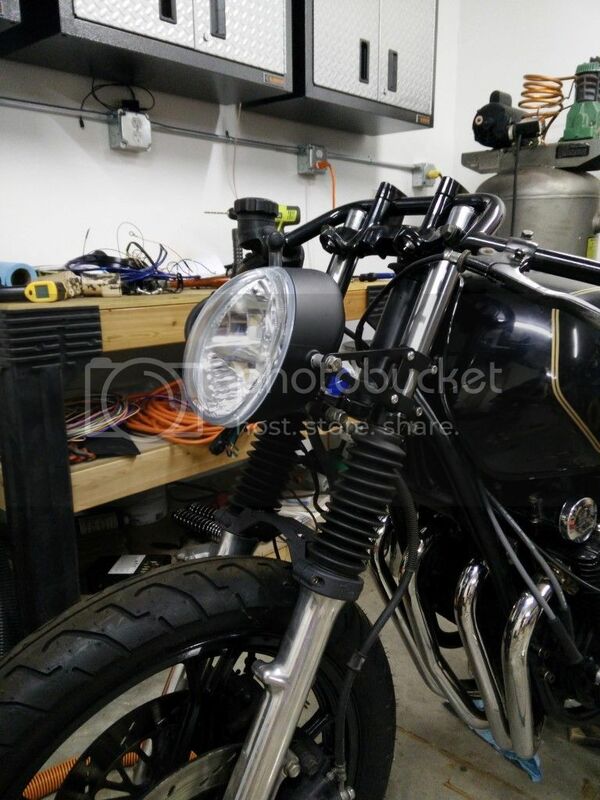 I like this setup better than my garage made brackets to place a Ducati headlight on a CB750. 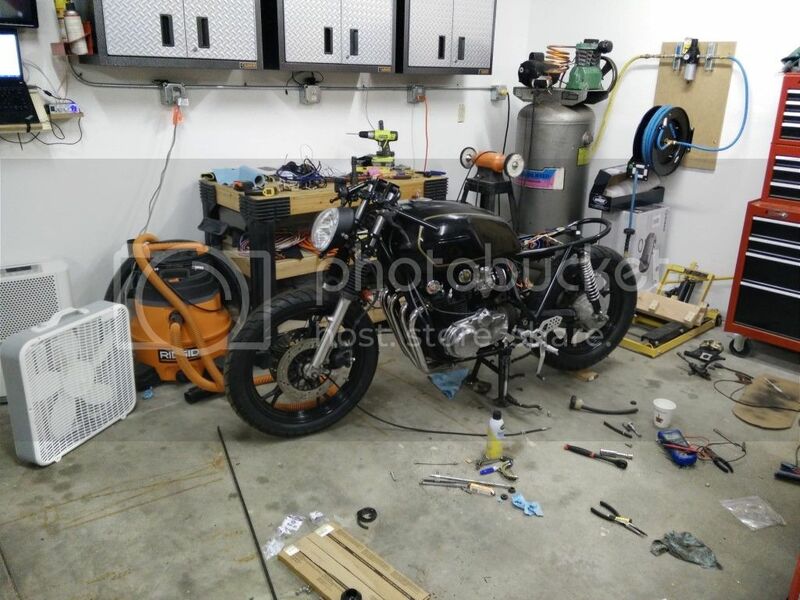 Not the greatest pictures, but here's me using them with a V-rod headlight. Before ordering them I didn't realize how long they are, so it definitely spaces the light out pretty far. Would probably work better with a normal round bucket light. It might look better if I switch to clip-ons below the top tree so it fills in the gap behind the light a bit more. On my list as well, looking good!